The ground floor is dedicated to German and Austrian art from the 16th - 18th centuries. 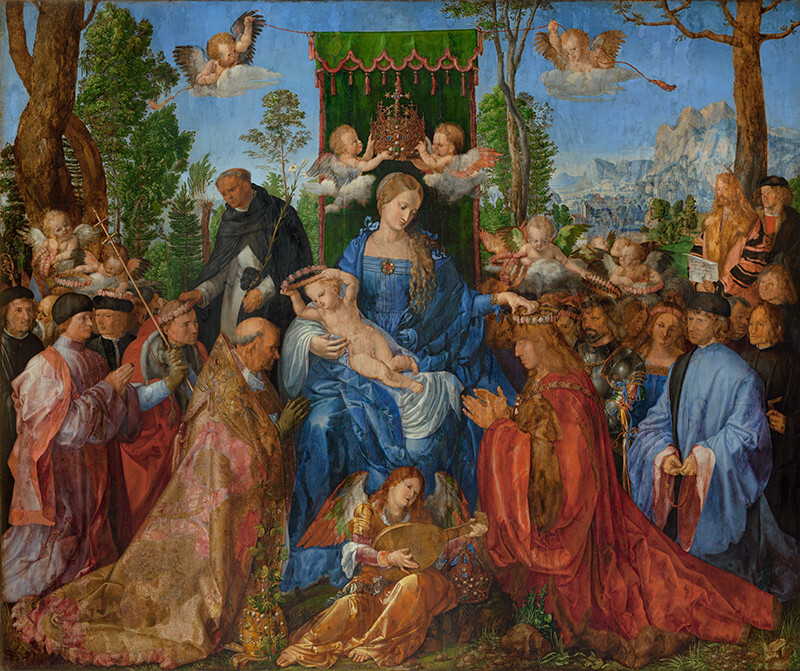 Among the many masterpieces here, including works by Lucas Cranach and Hans Baldung called Grien, you’ll find one of the most famous works of European painting, The Feast of the Rosary by Albrecht Dürer. The halls of the 1st floor include monuments from ancient Greece and Rome, as well as a famous collection of Italian art from the 14th - 16th centuries. It includes the works of older Tuscan masters (B. Daddi, L. Monaco), the works of the Venetian school (Vivarini workshop) and masterpieces of Florentine Mannerism (A. Bronzino, A. Allori). On the second floor, works of Italian, Spanish, French and Dutch masters of the 16th to 18th centuries are exhibited, including many of the most famous names of European painting, such as Tintoretto, Ribera, Tiepolo, El Greco, Goya, Rubens and van Dyck. It also features an extraordinary collection of Dutch masters (Rembrandt, Hals, Terborch, Ruysdael, Van Goyen).